As one of the leading cherry producers in California, Warmerdam Packing hires 1,500-2,000 seasonal workers every year. The hiring and onboarding process requires completing a great deal of forms (e.g., the job application, I-9, W-4, etc.). 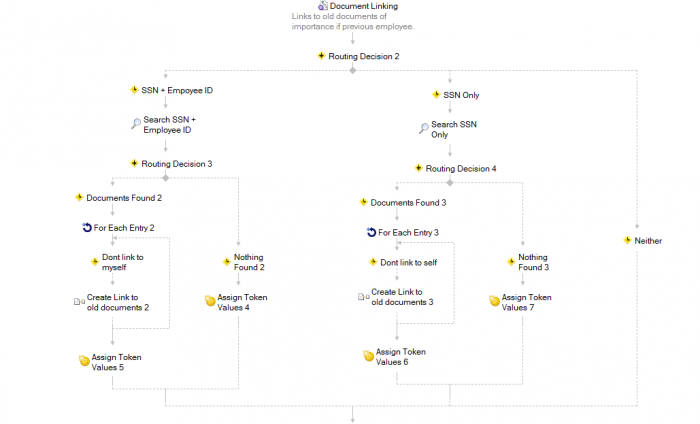 Here is how Laserfiche makes HR onboarding completely paperless. 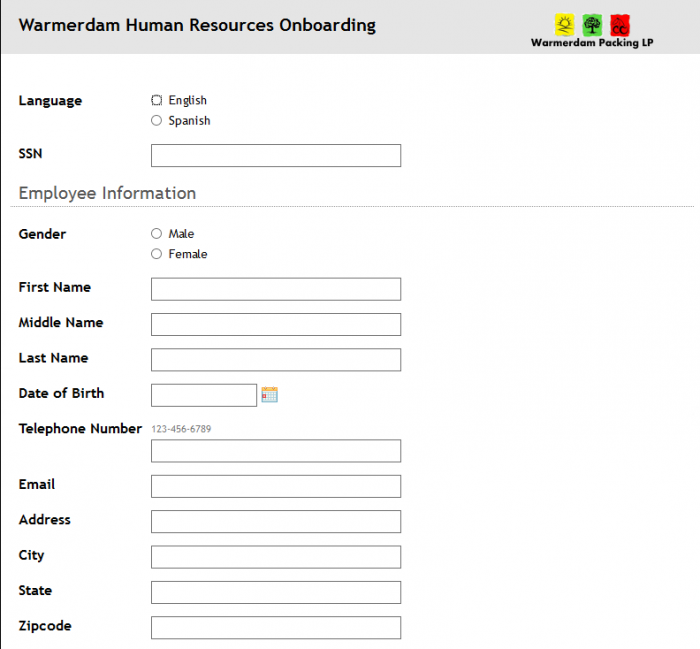 Warmerdam now uses Laserfiche Forms and Laserfiche Workflow to manage its hiring process. The job application is submitted through Laserfiche Forms. Computer stations at Warmerdam’s job fairs allow applicants to fill out job applications in English or Spanish in person or they can apply in the convenience of their home. 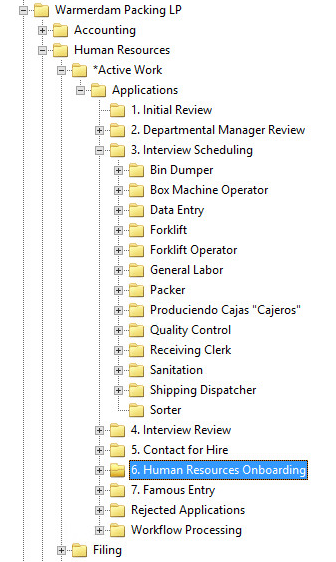 The folder structure in the Laserfiche repository corresponds with the different steps of the process. 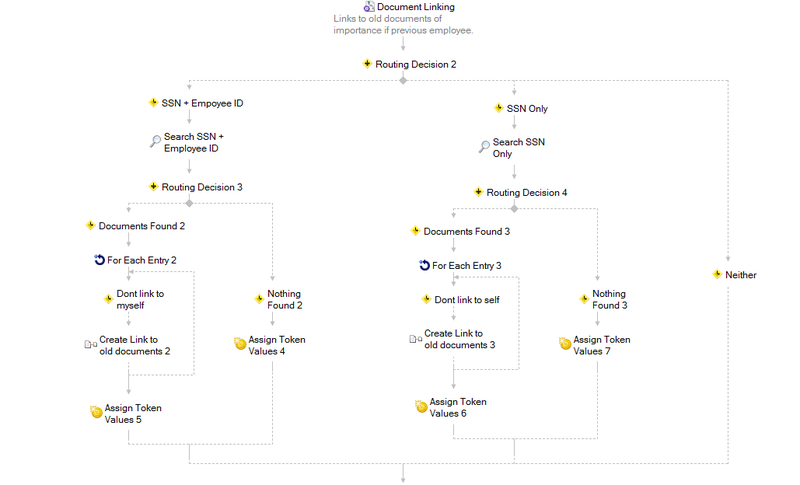 As the job application moves from step to step, Laserfiche Workflow automatically moves it to the next folder. The application is automatically routed to the Initial Review folder, where an HR employee performs the first review. After the initial review, the application automatically goes to the correct location based on job title. A shortcut is also created in the department manager’s folder. The manager decides whether to reject the applicant or move him to the next step. 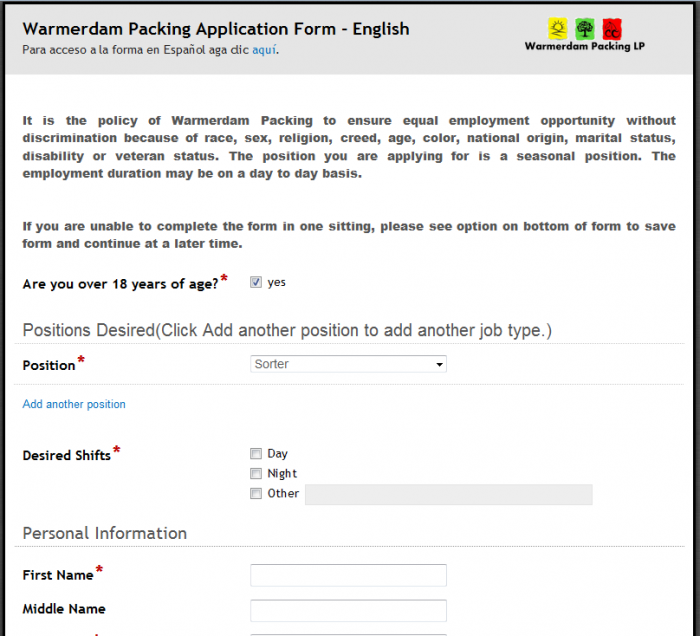 If the applicant has been previously employed by Warmerdam and if the manager approves him, the applicant is moved to the Contact for Hire folder and is hired immediately. Otherwise, the workflow moves the new applicant to the interview scheduling step. If the interview is successful, Laserfiche Workflow moves the application to the Contact for Hire folder. The applicant’s information is then entered into a SQL database. Rejected applications are moved to the Rejected Applications folder for archival. The HR employee enters addition information into the form, such as the new employee’s tax information. The new employee reviews the information in the forms and signs them on a Topaz signature pad. 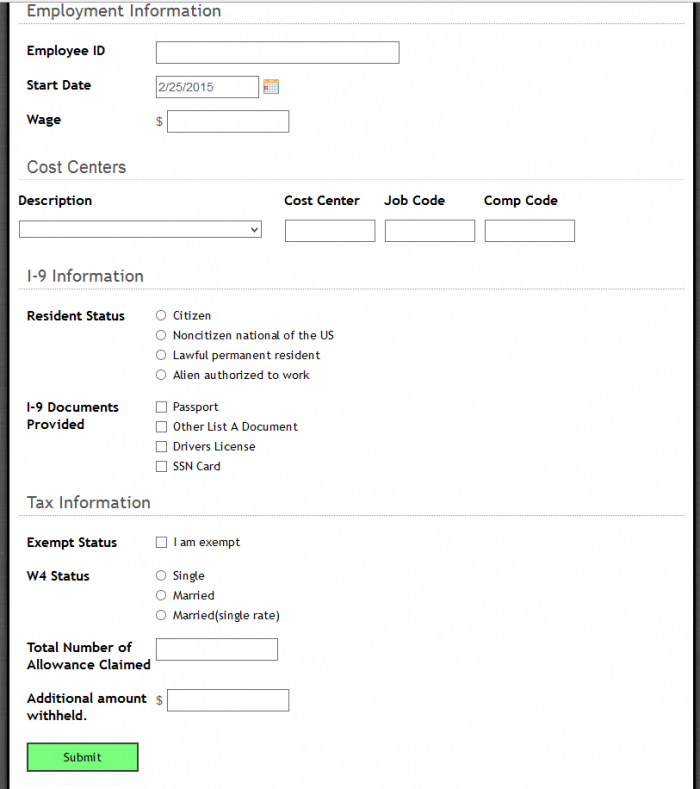 Here is an example of a pre-filled W-4 form with the employee’s signature visible. 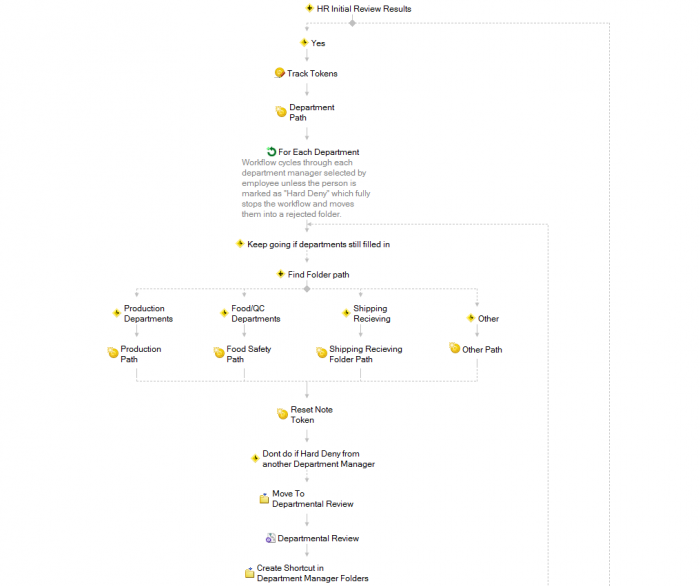 At the end of the day, another workflow populates the Famous line-of-business application with all of the information relating to the employees hired that day. Once the employee’s information has been imported into Famous, Laserfiche Connector is used to link this information to the employee’s documents in Laserfiche by Employee ID. This allows Warmerdam HR staff to quickly pull up the employee’s documents directly from their record in Famous, instead of having to perform a separate manual search in Laserfiche. The process of sorting through and reviewing all incoming applications to actual hire could take a team of people three weeks to complete. The new process, from the receipt of the online application to hire, takes approximately two hours. Since 75% of all applicants are rehired, finding their old files to check if they had been previously employed would take a long time. Now all the details are accessible in one place. The only paper that is generated during the HR hiring and onboarding process is the employee handbook. Everything else is stored in Laserfiche. 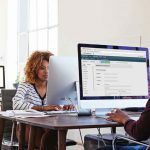 Laserfiche Connector allows HR staff to pull up an employee’s record in Famous and see all Laserfiche documents related to the employee without having to perform a separate search. Are you ready to automate your HR processes? Download the free guide to get started.